SEC "hasnt been doing its job for a long time," MarketCounsel CEO Brian Hamburger says, and the DOL fiduciary controversy obscures a bigger fight ahead. 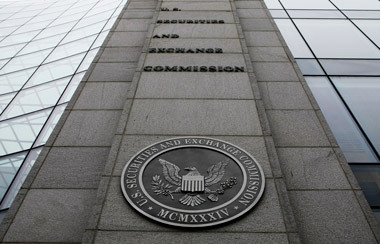 The SEC “hasn’t been doing its job for a long time,” says MarketCounsel’s Brian Hamburger. In a wide-ranging session at the Envestnet Advisor Summit in Chicago on April 8, MarketCounsel’s founder and CEO Brian Hamburger addressed many of the big regulatory and compliance issues facing advisors, and that one of the main issues is the regulators themselves. As for the Department of Labor’s proposed fiduciary rulemaking under ERISA, Hamburger said the DOL “did an end around since the SEC hasn’t been doing its job for a long time.” Hamburger then called on Rostad, president of The Institute for the Fiduciary Standard, to voice his take on the prospects for a fiduciary standard being imposed on brokers by the SEC. “The status of fiduciary duty in Washington has gone downhill enormously over the past six years,” Rostad replied, in fact since the Obama administration released its white paper on a regulatory roadmap for financial services. On the DOL reproposal, Hamburger chimed in that it is essentially the DOL’s original 2010 proposal “with a couple of ‘no-action letters’ attached,” and that because of political pressure from the administration, DOL “found themselves having to put something out” before it was ready to do so. Nevertheless, he said “it doesn’t take you long to realize that there’s no way” the DOL proposal will be adopted in its current format. “There are way too many holes” in the proposal, Hamburger said, and “the brokerage industry is ridiculously stronger than the RIA” lobby in the nation’s capital, so “they’ll leave their footprint” on the final proposal.